Suspected militants have blown up Nigerian National Petroleum Corporation, NNPC, pipelines at Ogijo in Sagamu Local Government Area of Ogun State, sending residents of the community scampering for safety after a loud explosion. 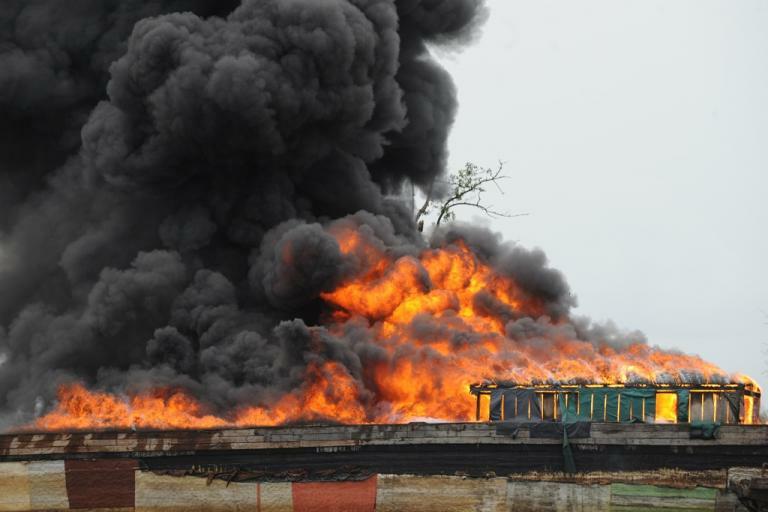 It was gathered that the explosion which occurred on Tuesday was believed to be the handywork of suspected militants who disguised as maintenance officials from the NNPC to blow up the gas pipeline around PZ Estate, in the area. According to source, the residents saw the suspected militants, but did not bother since they pretended to be officials of the NNPC who had come on routine maintenance checks. But the residents were shocked later at night after the hoodlums had left when a loud explosion occurred, shattering a section of the gas pipeline. It was gathered that the affected pipeline serve 11.4 distribution line for some companies in Ikorodu in Lagos. The state Police Public Relations Officer, Muyiwa Adejobi, confirmed the incident, but he said the state command had deployed its men to the area, saying “Some hoodlums on Tuesday went and burst a part of a gas pipeline around PZ Area in Ogijo. We heard that they came as if they were officials of a company in charge of the maintenance of the gas pipeline, and the residents were deceived by this ploy. Adejobi, added that officials of the NNPC, were already carrying out repairs on the affected section of the gas pipeline. Similarly, Nigeria Security and Civil Defence Corps, NSCDC, Ogun State Command, said its surveillance team Wednesday confirmed an explosion of a gas pipeline located around Ogijo. According to the Public Relations Officer of the Corps, Olanrewaju Kareem, the gas pipeline was a major line gas pipeline connected to Egbin through Oke-Iga/PZ Estate phase E in Ogijo, Sagamu Local government area of Ogun State.